I do not think that G. H. Hardy was talking nonsense when he insisted that the mathematician was discovering rather than creating, nor was it wholly nonsense for Kepler to exult that he was thinking God's thoughts after him. The world for me is a necessary system, and in the degree to which the thinker can surrender his thought to that system and follow it, he is in a sense participating in that which is timeless or eternal. 'Reply to Lewis Edwin Hahn', The Philosophy of Brand Blanshard (1980), 901. Given, without source, as an example of 'Give In To', yield to, or surrender, in The Well-Spoken Thesaurus (2011), 175-176. In The Roving Mind (1983), 6. [Albert Einstein] is not challenging the fact of science; he is challenging the action of science. 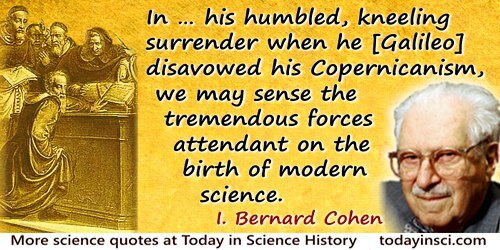 Not only is he challenging the action of science, but the action of science has surrendered to his challenge. Giving a toast to “the greatest of our contemporaries” to a thousand guests at a public dinner, given in Einstein's honor by the Ortoze Society at the Savoy Hotel, London (28 Oct 1930). 'Shaw and Einstein Speeches', New York Times (29 Oct 1930), 12. The Ortoze Society worked for the welfare of Jews in Eastern Europe.